The German Federal Ministry for Economic Affairs and Energy (BMWi) and Sepura / Hytera was signed after careful and diligent examination of Sepura TETRA radios. 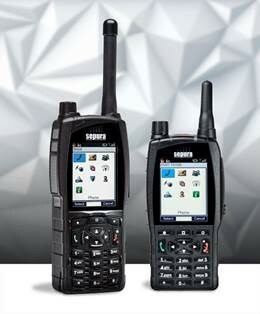 Security concerns over radios used on the German BD BOS Digital Radio Network following the purchase of Sepura plc by Hytera prompted an audit. Sepura plc, Cambridge remains independent and responsible for the development of TETRA terminals as part of the Hytera group. The Sepura subsidiary, Sepura Germany GmbH, based in Munich also continues to exist. Sepura’s distributor for Germany, SELECTRIC, based in Münster, is responsible among other things for the sales and the service of the terminals and is Sepura’s point of contact for the German BOS Digital Radio Network. In Germany, Government authorities and Public Safety organizations may only operate radio terminal equipment which has been certified as suitable by the German Agency for Digital Radio of Security Authorities and Organizations (BDBOS). The certificates for Sepura devices already certified by the BDBOS still remain - therefore these devices may continue to be used. The certification of new software for existing Sepura SRG and STP terminals as well as the certification of the new SC2 series of radio terminals have been issued by BDBOS on March 16th, 2018. In February 2017, SELECTRIC was awarded the tender by the state of Thuringia to provide digital radios for non-police public safety organisations (the fire and rescue service). The contract includes, among other things, Sepura SC20 terminals, which can be used from the time the certification is published. The delivery of the terminals will take place shortly. Hendrik Pieper, Managing Director of SELECTRIC: "We are pleased that we are able to continue successful cooperation with the federal government and the federal states following more than 10 years of working together. This agreement allows us to further expand our market leadership together with Sepura. With more than 380,000 digital radio terminals delivered in the German Public Safety market, not only Sepura devices, but also SELECTRIC's own system-complementary products are part of the success. " Hooman Safaie, Sepura Regional Director for Germany: "This contract enables us to build on the previous, successful dialogue with public safety customers in order to continue to offer robust TETRA devices, software, accessories and applications that meet their needs in the future. As an independent part of the Hytera Group, Sepura is now well positioned to help German public safety customers migrate to broadband through innovative solutions. "